Leaked Pictures of Nokia’s Next Flagship Phone Reveals a Killer Smartphone: It seems like Nokia has regained its glory back and is slowly becoming a top competitor for the dominant smartphone brands existing in the smartphone segment. HMD Global Oy, the company that is the exclusive licensee of the Nokia brand for phones & tablets, has succeeded in keeping back the Nokia brand to the shore. The new Nokia smartphones have been widely received, and fans are pleased with the devices. HMD Global has sold nearly 1 million Nokia 6 smartphones in just 60 seconds in China and has become the viral topic in the gadget news and social media. This overwhelming response just shows how fans are excited about the comeback of Nokia. So far HMD Global Targeted users in the low and mid-range segment with Nokia 3310 and with Nokia 3, Nokia 5 and Nokia 6 which are yet to be launched. Well, the company is reported to be working on a new model to set its footprint in the premium smartphone, with a new flagship phone. So far there hasn’t been any details from the company regarding this. 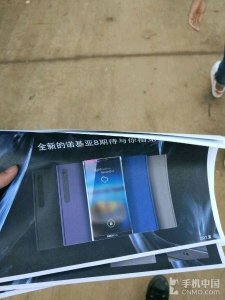 But a recent leak from CNMO, a Chinese website has featured some promotional material which contains some information relating to the next Nokia flagship phone. 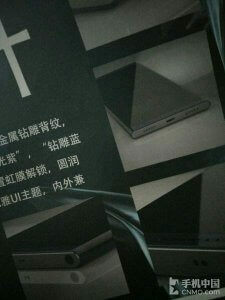 Leaked Pictures of Nokia’s Next Flagship Phone Reveals a Killer Smartphone. The new leaks have revealed the design aspects of the Nokia’s Next flagship phone which might be Nokia 8 or 9. The design aspects of Nokia 8/9 seems to be inspired from the Lumia serious. CNMO Has featured two pictures of Nokia 8 and upon analyzing one can easily find out that the phone features a USB type C port. The another photo visualizes about the display design, which can be a bezel-less or curved edge similar to S8. There aren’t any major revelations from the leak. But some other leaks have suggested that this Nokia flagship might feature all the latest smartphone features like a fingerprint scanner, powerful battery with quick charge and wireless charging and metal curved body. HMD Global has yet made any official statement about this device. If HMD Global announce the phone this year, then it might become give tough competition to Apple’s anniversary edition iPhone, and Samsung S8 may see a dip in sales. This is what we have so far regarding the next Nokia phone. We will update the Article with more information following the leaks and official announcement.